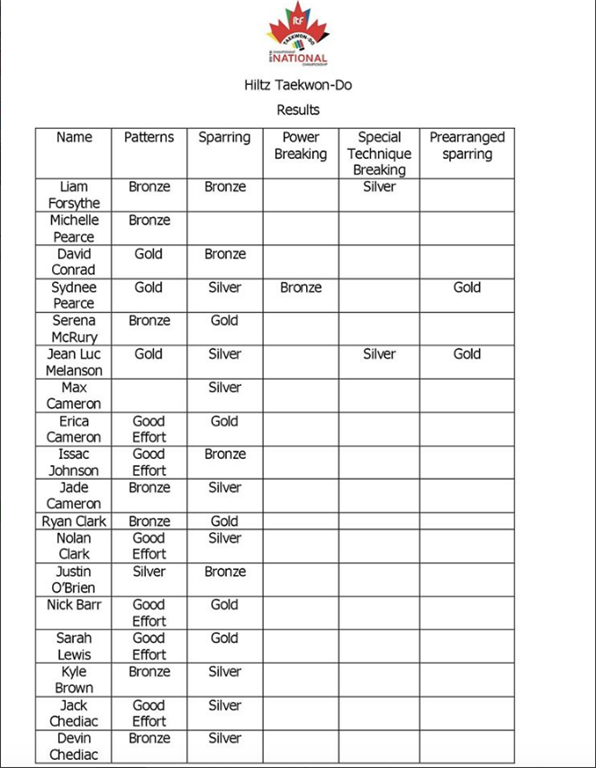 Impressive results from our Hiltz competitors at Nationals. Our 18 competitors came home with over 30 medals. We can proudly say that we have several national champions training at our club. On and off the mats we are proud of you.